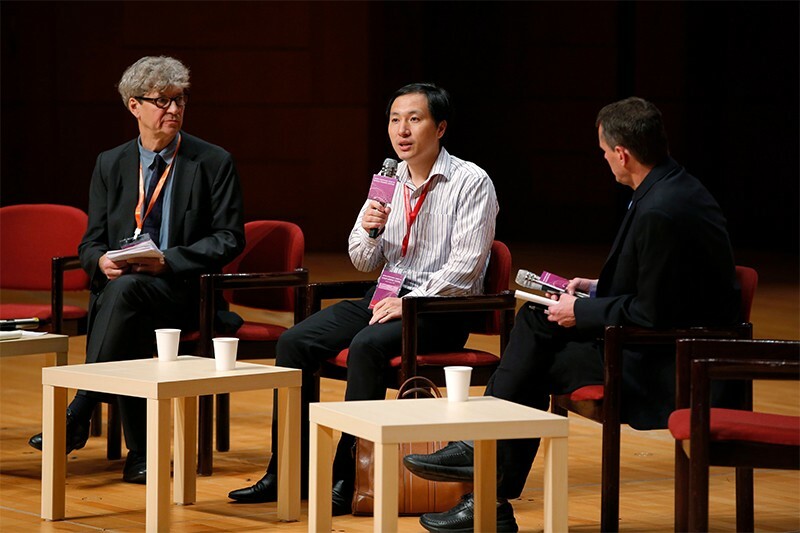 He Jiankui gives talk about controversial claim of genome editing babies, but ethical questions remain. He’s talk encompassed his work in animals and the details of how he genetically modified embryos and implanted them in women. He explained how he verified the gene edits — and revealed that another woman is possibly pregnant with a gene-edited embryo. Lovell-Badge, like many other scientists, says that an independent body should confirm the test results by performing an in-depth comparison of the parents’ and children’s genes. Alta Charo, a bioethicist at the University of Wisconsin–Madison and a member of the summit’s organizing committee, is also critical. “Having listened to Dr. He, I can only conclude that this was misguided, premature, unnecessary and largely useless,” she says. He seemed shaky approaching the stage and nervous during the talk. “I think he was scared,” says Matthew Porteus, who researches gene editing at Stanford University in California and co-hosted a question-and-answer session with He after his presentation. Porteus attributed He’s nervous demeanor to either the legal pressures that He faces or to the prospect of addressing a critical audience of scientists and members of the media. He began by apologizing for the commotion that began after news of his work first emerged earlier this week. He then spent 20 minutes firing through his presentation — entitled “CCR5 gene editing in mouse, monkey, and human embryos using CRISPR–Cas9” — before taking 40 minutes of questions. CCR5, the gene that He edited, is the route by which many strains of HIV infect immune cells. Many scientists have criticized He’s choice to alter this gene, in part because there are other ways to stop people from contracting HIV ― such as using caesarean sections to deliver the babies of mothers with the virus. Critics also say that other diseases would make more obvious targets for elimination through editing embryonic genomes. In the opening presentation of the day, George Daley, dean of Harvard Medical School in Boston, Massachusetts, pointed to Huntington’s disease or Tay–Sachs disease as examples of diseases that, in some circumstances, might be averted only through gene editing. At the summit, He revealed that one of the genetically modified twins will be resistant to HIV, because the gene edits removed both copies of her CCR5 gene. The other twin could still be susceptible to infection because the gene-editing process inadvertently left one copy of her CCR5 intact, he said. He’s decision to implant the second embryo drew strong criticism. “Why choose this embryo? It just doesn't make sense scientifically,” said Seoul National University geneticist Jin-Soo Kim. During his talk,﻿ He said he had explained the situation to the parents and they decided they wanted to do it anyway. He didn’t just work with the parents of the twins, he said, but with an initial total of eight couples of HIV-positive men and HIV-negative women. One couple later dropped out of the study. He’s team first washed sperm from the men to ensure that HIV was not present. The researchers then injected the sperm, and CRISPR–Cas9 enzymes, into unfertilized eggs from the men’s partners. 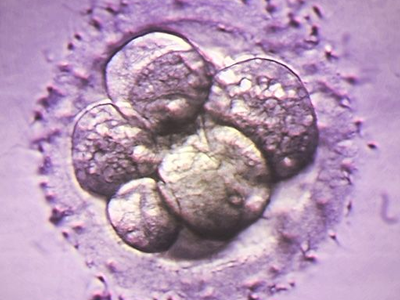 This produced a total of 22 embryos, of which 16 appeared viable and to have been edited, according to He's spokesperson, who Nature corresponded with after the talk. Two of the four embryos from one couple contained modifications to CCR5﻿, and He implanted these two modified embryos in the woman, even though one embryo also had an intact copy of the CCR5 gene. This pregnancy produced the twins. It is not clear what has happened to the other embryos, but He says that he has implanted a gene-edited embryo into another woman. Kim says he’s 90% sure that the twins are the first babies born with edited genomes, as He claims. That is in part because of the state-of-the-art sequencing methods that He used before and after implantation to show that the embryos contained no unwanted mutations — which could be one drawback of He’s process. “I was impressed,” says Kim. He’s talk leaves a host of other questions unanswered, including whether the prospective parents were properly informed of the risks; why He selected CCR5 modification when there are other, proven methods for HIV prevention; why he chose to do the experiment with couples in which the men have HIV, since women with HIV have a higher chance of passing the virus on to their children; and whether the risks of knocking out CCR5 — a gene normally present in people, which could have necessary but still unknown functions — outweighed the benefits in this case. In the discussion following He’s talk, one scientist asked why He proceeded with the experiments despite the clear consensus among scientists worldwide that such research shouldn't be done. He didn’t answer the question. Nobel-prize winning biologist David Baltimore, chair of the summit’s organizing committee and former president of the California Institute of Technology in Pasadena, called He’s experiment “irresponsible” and criticized his lack of transparency. Baltimore also accepted blame on behalf of the scientific community. “There has been a failure of self regulation by the scientific community,” he said. He’s attempts to justify his actions mainly fell flat. In response to questions about why the scientific community had not been informed of the experiments before the first women were impregnated, he cited presentations that he gave last year at meetings at the University of California, Berkeley, and at the Cold Spring Harbor Laboratory in New York. But Doudna, who organized the Berkeley meeting, says He did not present anything that showed he was ready to experiment in people. She called his defence “disingenuous at best”. He also said that he discussed the human experiment with unnamed scientists in the United States. But Porteus says that’s not enough for such an extraordinary experiment. “You need feedback not from your two closest friends but from the whole community,” he stated. Porteus wants He to post data from his experiments with people and monkeys to a website such as bioRxiv as soon as possible so other scientists can analyse these data themselves. Pressure was mounting on He ahead of the presentation. On 26 November, the Chinese national health commission requested the Guangdong health commission, which is in the province where He’s university is located, to investigate. The Chinese Academy of Sciences has﻿ issued a statement condemning He’s work, and the Genetics Society of China and the Chinese Society for Stem Cell Research jointly issued a statement saying that the experiment “violates internationally accepted ethical principles regulating human experimentation and human rights law”. The hospital cited in China’s clinical-trial registry as having given ethical approval for He’s work posted a press release on 27 November saying it did not give any approval. It questioned the signatures on the approval form and said that the hospital's medical-ethics committee never held a meeting related to He’s research. The hospital, which itself is under investigation by the Shenzhen health authorities following He's revelations, wrote: “The Company does not condone the means of the Claimed Project, and has reservations as to the accuracy, reliability and truthfulness of its contents and results.”. He has not responded to requests for comment on these statements and investigations, nor on why the hospital was listed in the registry or on the hospital's questions about the signatures. Fears are now growing in the gene-editing community that He’s actions could stall the responsible development of gene editing babies. 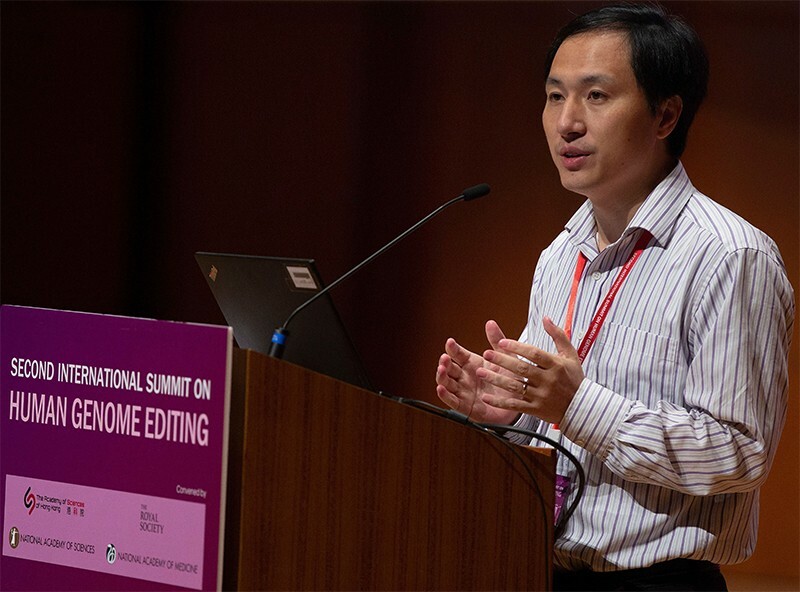 In a lecture on the second day of the summit, ahead of He’s talk, Daley urged support for pursuing germline gene-editing research despite recent events. “It’s possible that the first instance came forward as a misstep, but that should not lead us to stick our heads in sand and not consider a more responsible pathway to clinical translation,” he said. Correction 30 November 2018: The numbers of embryos that He used in his experiments have been changed since the article was first published, following clarification by Jiankui He's spokesperson.